I swear, my intention was to go for a break. A year taking pictures, sharing them over the web, writing texts, running, kayaking, just being social. Honestly, ask my family and friends! But this was not to be, in spite of what I said when I announced my resignation just days ago. Instead, I am joining SkySQL Ab, the startup that aims to become a new centre for the MySQL universe. My role will span Marketing and Engineering, and is like the title "EVP Products" inspired by Zack Urlocker's role at MySQL AB. I would have preferred the company to have been called KajSQL, but have come to terms with the company having an extra phonetic "s" in the beginning. Quite a while ago, having eaten my favourite fish "Börjes fisk" in my country house in Nagu, Finland, my now-former colleague Giuseppe Maxia jokingly even suggested a logotype for KajSQL, then labelled "The database for community lovers". Reason 1: The team. Behind SkySQL Ab is a set of top people: founders, executives, and experts who all were colleagues during MySQL AB times. Our Chairman is MySQL AB angel investor Ralf Wahlsten, who found MySQL AB's first Chairman, and defined the MySQL Core Values with MySQL AB founders Michael "Monty" Widenius and David Axmark. Monty and David are investors and stakeholders, but have no operational or management roles. 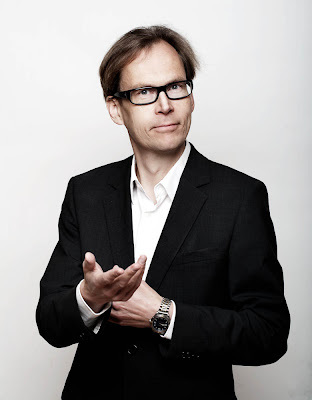 Our CEO is Ulf Sandberg, formerly SVP Services at MySQL AB. The co-founders include Mick Carney, formerly European Field Sales Manager for MySQL at Sun Microsystems, Patrik Backman, who worked with me on the SAP partnership and continued as Director of Engineering, and Max Mether, who set up training at MySQL AB with me, and already prior to that at Polycon Ab. Early colleagues include MySQL AB time stars such as Boel Larsen in HR, as well as Dean Ellis and Alexander "Salle" Keremidarski in Support. Reason 2: The timing. SkySQL Ab is happening now, not when I've got my pictures sorted out. I want to support the team, and keep colleagues together, who work well together. I would hate to see an exodus of talent from the MySQL ecosystem. Reason 3: The role. I can be back, making a difference, making decisions again. It isn't as if I wouldn't have given it a try at Oracle. I promised myself to make an attempt at influencing Oracle from the inside, explaining what the MySQL Community is, how the MySQL ecosystem works, and how it can be adapted to Oracle. Sure, like Oracle, SkySQL strives for profit, but the Oracle focus on the bottom line seemed to me to overshadow everything else, perhaps not respecting Open Source and community dynamics to the degree I would consider adequate. As listening to a Vice President from Munich wasn't high on the list in Redwood Shores, I clearly prefer having real influence in a startup than a mere title but no influence at Oracle. 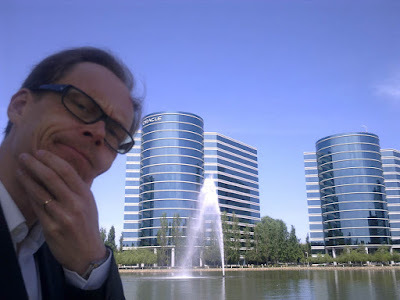 The loss of another MySQL veteran in Arnö on the back of other Sun exits will counter attempts by Oracle to try and reassure users that their open-source database's future is safe on the corporate mothership. Last year [I do think this means April 2010; my own note] Arnö had tried to convince MySQLers that nothing would change for the worse under Oracle, that their database was safe, and that concerns over the database were unfounded. Among the facts he highlighted was a "huge talent pool" of MySQL experts inside Oracle — a talent pool that's now one member smaller. He also said that Oracle planned to be proactive in its dealings with the community and would emphasize maturing the database. Reason 5: The opportunity. MySQL as a database hasn't seen it's apex yet, and SkySQL can contribute to the well-being of the MySQL ecosystem. The initial SkySQL Ab team collectively has over one hundred years of experience working for MySQL AB. I think this team has an excellent chance of grabbing the opportunity to build a profitable, sustainable commercial business providing MySQL related offerings, while preserving open source values. In summary, to do the right thing, I felt I didn't have much of a choice! I continue to feel responsibility for the MySQL ecosystem and I don't want to let anyone important down. So yes, I'll still pursue my private goals. But on top of that, I plan to have lots of fun working at SkySQL Ab, and do my best to make the company a success comparable to MySQL AB! Congratulations, Kaj! EVP Products is a title to live up to, but I'm more than convinced that (a) you know and (b) you'll do just that! And things turn out, this might have been a very good choice, personally and for MySQL. Good move! And a great catch for SkySQL! ZDNet Downloads Newsletter ZDNet delivers great free downloads and trial software that will make you more productive.